As on land, the "industrialization" of the oceans has a huge impact on the animals that inhabit it. This study looks at how the centuries old practice of whaling has become industrialized since the early 1900's, and how this process has impacted whale populations worldwide. The research uncovers a steady (and sometimes sharp) increase in whale catch numbers since the early 1900s, and also finds that record-keeping on whaling globally has been inconsistent and sporadic. As on land, the “industrialization” of the oceans has a huge impact on the animals that inhabit it. This study looks at how the centuries old practice of whaling has become industrialized since the early 1900’s, and how this process has impacted whale populations worldwide. The research uncovers a steady (and sometimes sharp) increase in whale catch numbers since the early 1900s, and also finds that record-keeping on whaling globally has been inconsistent and sporadic. The practice of hunting whales has been an aspect of many different cultures for centuries, but for the most part, the amount of whales killed and taken from the oceans has remained inconsistently documented. Even over recent decades, as whaling became “industrialized,” record-keeping has not improved. The authors of a comprehensive study of industrial whaling worldwide say that “remarkably, there has been no complete accounting of the total number of whales taken by industrial whaling in the world’s oceans in the 20th century.” Though there have been attempts to assess totals for different hemispheres, no reliable global estimates have been put forward. Defining “industrial whaling” as the killing of “any whale that was processed at a shore whaling station or on a floating factory ship,” this research puts together reliable global numbers of industrial whaling that span the 20th century. Late 19th century technological advances for capturing whales, when combined with the expansion of processing capabilities in the early 20th century, created an industry that could catch and quickly render virtually any whale in any ocean. Here, using the current International Whaling Commission (IWC) database and other sources, we provide the first accounting of the total global catch by industrial whaling operations in the 20th century. In sum, we estimate that nearly 2.9 million large whales were killed and processed during the period 1900–99. Of this total, 276,442 were killed in the North Atlantic, 563,696 in the North Pacifi c, and 2,053,956 in the Southern Hemisphere. The years 1925–39 in the Southern Hemisphere and 1946–75 in both hemispheres saw the highest totals of whales killed. For the entire 20th century, the largest catches were of fin, Balaenoptera physalus, and sperm whales, Physeter macrocephalus, with 874,068 and 761,523 taken, respectively; these comprised more than half the total of all large whales taken. As noted in other publications, when one species began to decline, another was sought and hunted to take its place. In addition to reported catches, it is now known that the USSR conducted illegal whaling for more than 30 years. The true Soviet catch totals for the Southern Hemisphere were corrected some years ago, and a more recent assessment of the actual number of whales killed by Soviet factory fleet ships in the North Pacific between 1948 and 1979 has provided us with more accurate numbers with which to calculate the overall global catch. 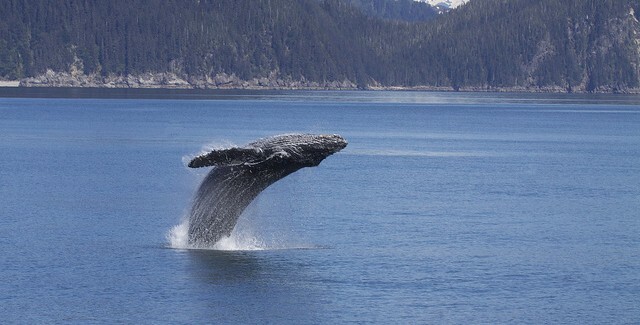 The estimate for the total global catch by the USSR is 534,204 whales, of which 178,811 were not reported to the IWC.